On May 29th, my wife and I were gifted with our beautiful daughter, Norah Faith. Tragically, seconds after being born we knew there were issues and after lots of work by the doctors, Norah passed away 10 hours later. I had already signed up for the GNR earlier in the year to raise money in memory of my nephew Kieran who also sadly died, aged 10 in 2014. 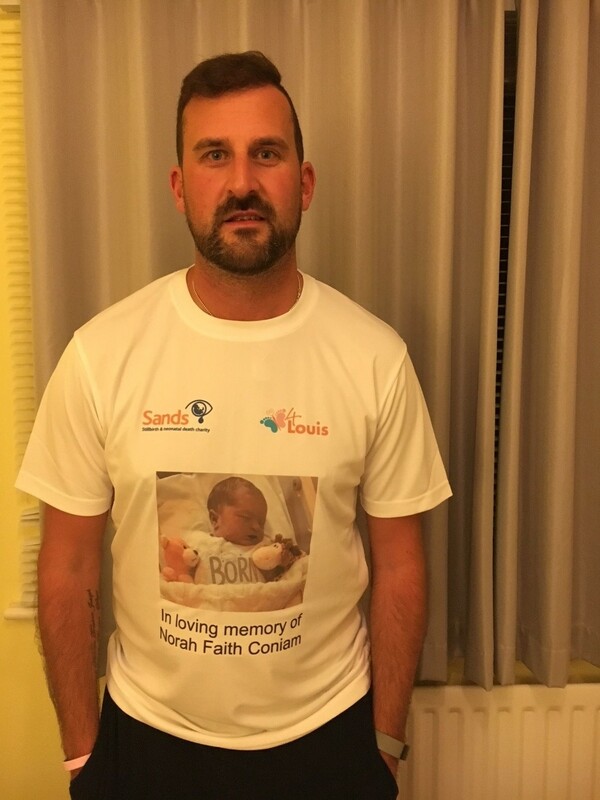 I have now decided to also raise money for SANDS and also a couple of other charities close to my heart and will continue to do so in the future. I have found training very difficult following losing Norah as it is only 14 weeks ago. Having run a couple of marathons before, I know how amazing the atmosphere can be and knowing I am surrounded by people running for such great causes will spur me on to the finish. I haven't really set myself a target but have been collecting donations since Norah passed away and this total raised will be split between a few charities at the end of September.